Window blinds are a great addition to any home. They can easily transform a room from drab to fab. They provide a good means of light control and privacy to the occupants not to mention a styling element to enhance the look of a room. Here are some amazing tips for you on window blind installation and repair. The first step to installing window blinds is to measure your windows but before you do that you need to choose whether you prefer your blinds to be inside or outside mounted. Inside mounted blinds refer to blinds that are installed inside the window frame with the trim exposed. Outside mounted blinds on the other hand hang the width of the trim so that when they are down, only the wall on the sides of the blinds are visible. Hanging the blinds outside can make your window look bigger than it actually is. This also means that you might require longer blinds and can may be an additional cost to the installation. Whereas, hanging blinds on the inside mount can give your window a slimmer appearance. Inside mounts let light shine through from the outside around the tiny edges of the blinds. To tell you the truth, neither on is actually better or worse than the other. It is really just a matter of what you prefer. Fact is, if your trim is already outdated or damaged, you might want to go for the inside mount to cover it up. On the other hand, if you prefer the room to be as dark as possible, it is recommended that you use an outside mount. 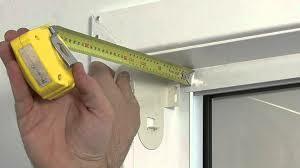 This is the tricky part of window blind installation and repair so pay close attention. It is vital that you measure accurately the size of your windows so that you are able to purchase the right size of window treatments. You can use a measuring tape to discover the size. If you want the most accurate outcome, use steel measuring tapes. Also, when you measure, do round off to the nearest 1/8 of an inch. When measuring for inside blinds just put your tape measure against the window where the glass meets the casing. In effect you are actually measuring the glass. Begin by measuring the width of the window at the top, middle and bottom part. Keep in mind that there might be a slight difference in the measurements. If this is the case, use the smallest number so as to guarantee that the blinds do fit within the inside of the window frame. For outside blinds just measure the outside edges of the casing that surrounds the window. 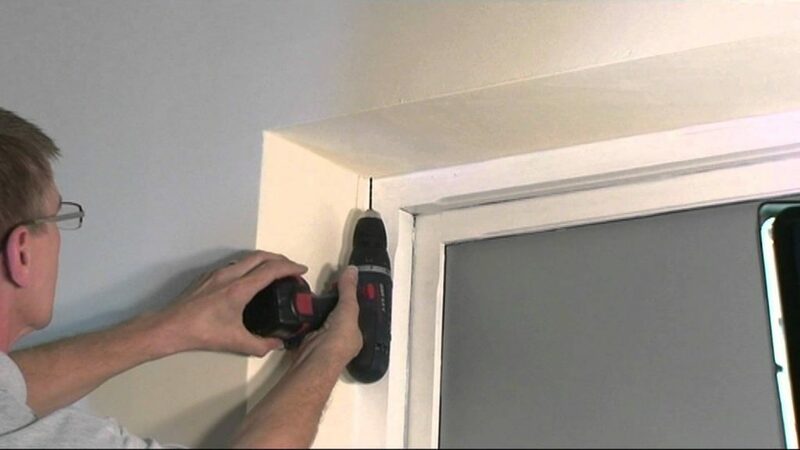 You also might want to measure the full length ranging from the top edge of the windowsill or the bottom of the window casing if you happen to not have a windowsill. Once you have the measurements you can no go and buy your preferred window blinds. Once you have your new blinds with you, do check of all the hardware and parts are complete. Do review the instructions and manufacturer recommendations on installing the blinds. Use a pencil in order to mark where you ant to install the brackets. 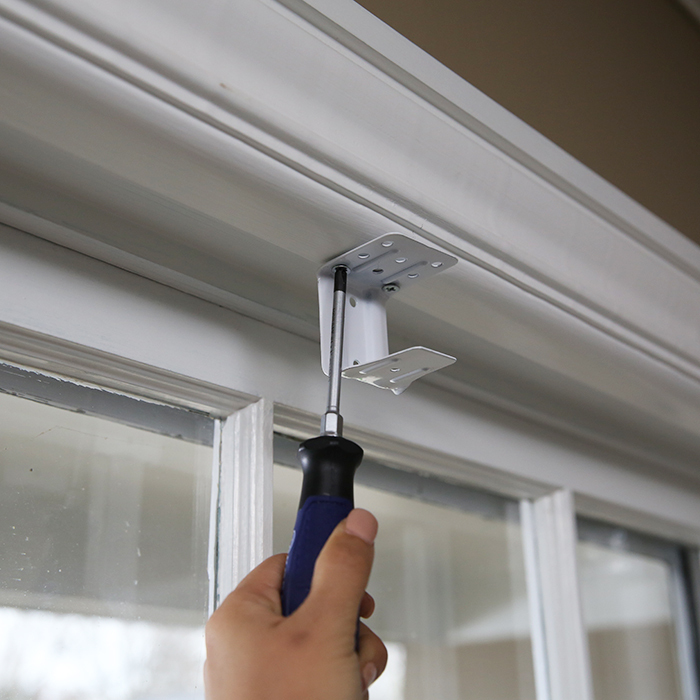 If you are going to install an outside mount, the brackets need to be placed on the outside portion of the window casing on both sides of the window. If you are going to perform an inside mount, the brackets need to go against the inside top corner of each side of the window. Always practice safety procedures especially if you are doing an outside mount. If you are unsure on how to proceed, refer always to the manufacturer’s instructions for the details. Follow instructions carefully so as not to void the warranty on your window blinds.